In the last few years, supplement manufacturing has seen record growth! As people have become more health conscious, supplements have become more mainstream, and demand has greatly increased. This trend is expected to continue upward as people spend more money on all-natural and organic supplements. While there is money to be made in supplement manufacturing, the industry itself is capital-intensive as it requires state-of-the-art machinery and skilled workers who earn larger average salaries than people in other industries. These employees range from chemists to biologists to marketing specialists, and their work ensures quality products that exceed GMP standards and attract new customers! BioThrive Sciences offers private label supplement manufacturing and cost per acquisition marketing for supplements, so you can own your very own business and start earning profits without the need for a large amount of capital. Cost Per Acquisition Marketing, also known as affiliate marketing, offers great potential profit for the amount of work required with an easy setup process. 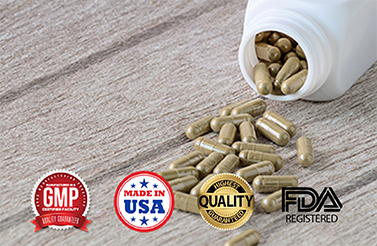 When you contract with BioThrive Sciences, we’ll provide you with products that exceed the GMP standards from a large line of private labels, and we also specialize in custom formulations of capsules, tablets, powders, liquids, shampoos, teeth whitening, and more! BioThrive Sciences is proud to serve as a supplement manufacturing and fulfillment partner to entrepreneurs in the affiliate space. We have professional partners in banking, traffic, and customer service to help you succeed! Whether you need to order on demand or you prefer to pre-purchase your products, we are the fulfillment partner you’re looking for! We work with entrepreneurs who are just starting out all the way up to companies with thousands of orders per day! Partner with BioThrive Sciences, and provide your customers with a robust line of in-demand, private label, and custom formula supplements today. BioThrive Sciences is located in Atlanta, Georgia, and our expert team serves affiliate partners nationwide. Call 844-263-3657 or contact us online for your supplement manufacturing needs.